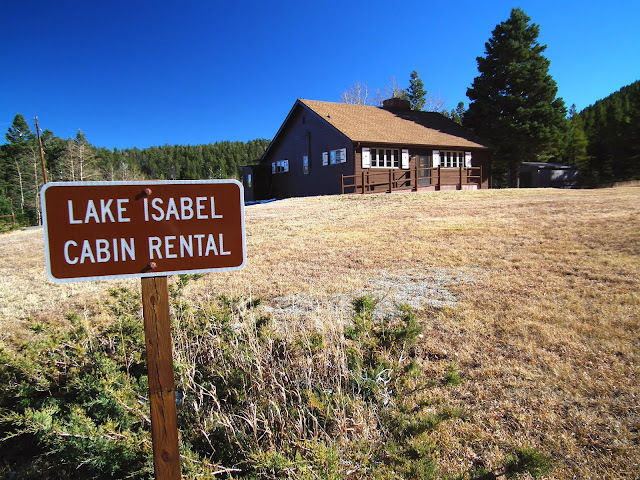 The US Forest Service's Lake Isabel rental cabin sits across the road from the 40-acre lake and recreational area built by the Civilian Conservation Corps during the Great Depression. 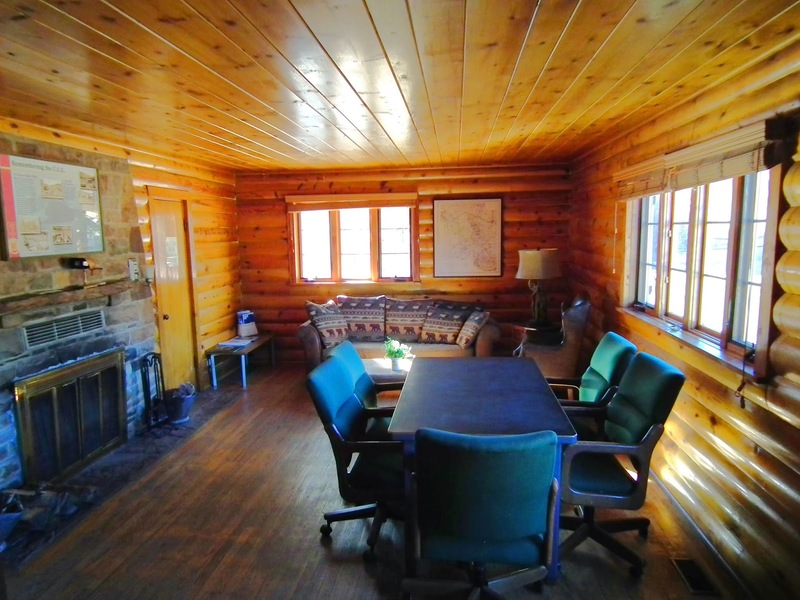 The living room of the spacious cabin features a fire place and a big, sturdy, government issue conference table. 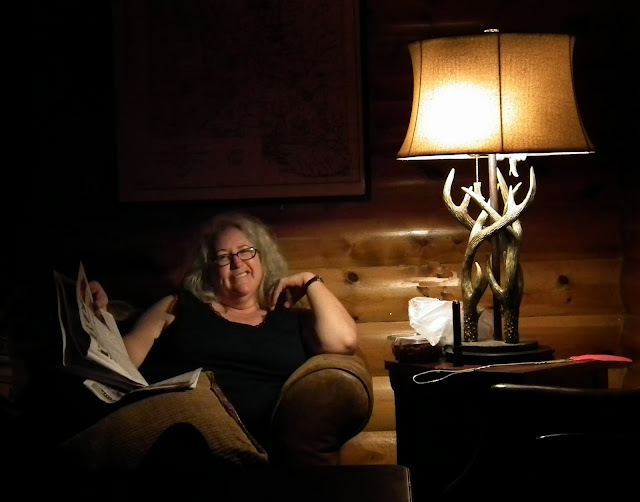 The couch, deer antler reading lamp and wing back leather chair are inviting and don't disappoint in their coziness. 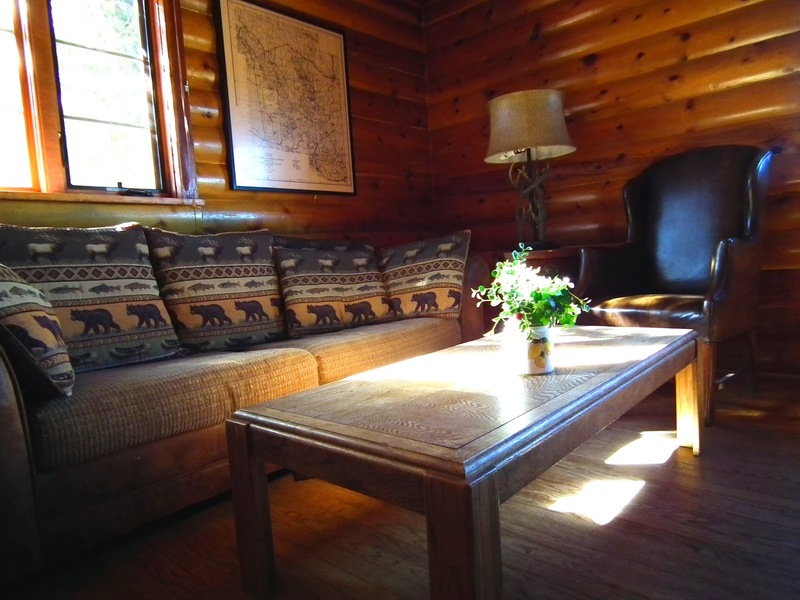 A relaxing weekend at a mountain cabin is a great way to shed life's stress and worries. 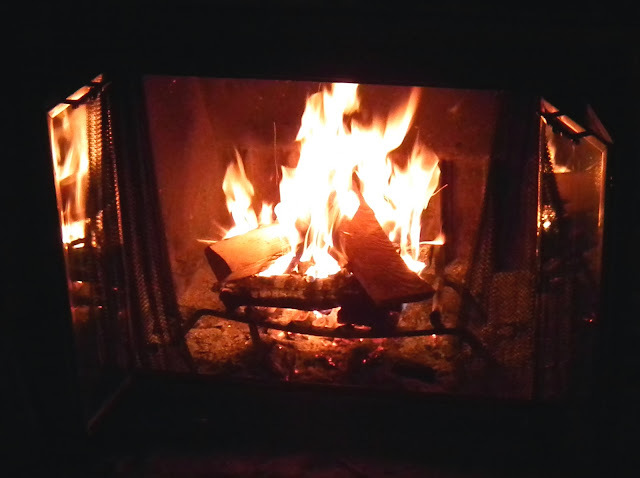 A blazing fire instead of TV provides hours of mesmerizing entertainment. 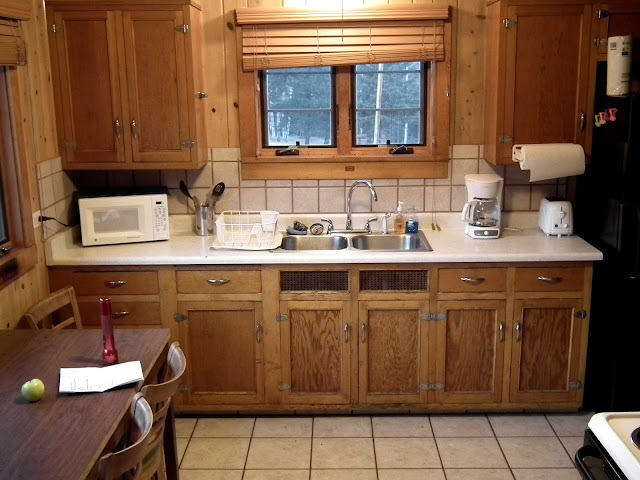 A fully equipped kitchen makes for a comfortable stay for those who plan accordingly. Groceries and other essentials can be had in nearby Colorado City. 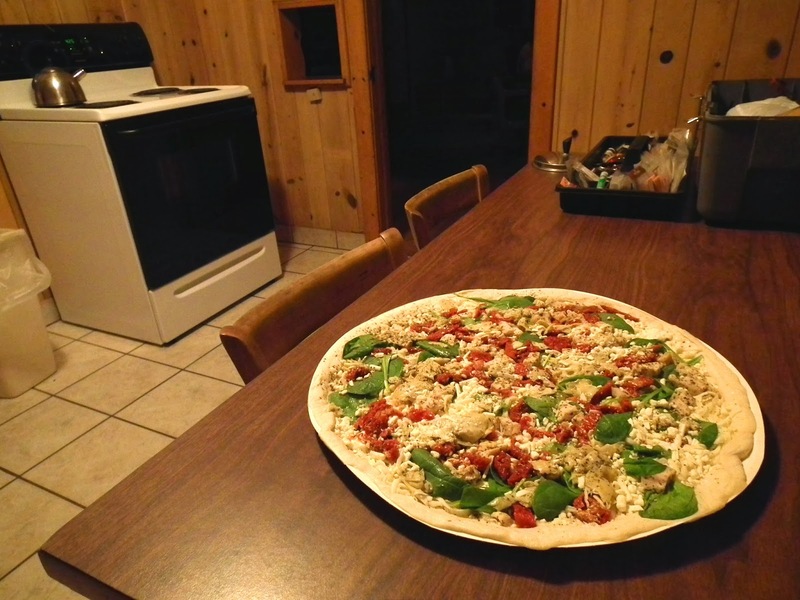 A Papa Murphy's take and bake Herb Chicken Mediterrean pizza made for an easy Saturday night meal thanks to the cabin's oven. 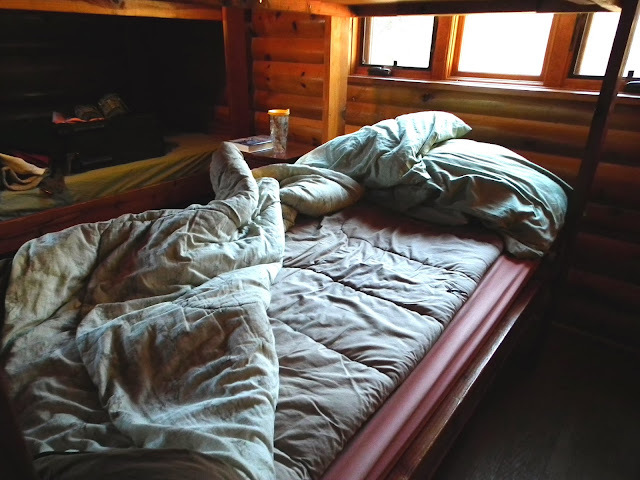 The bunk room's beds featured comfortable mattresses and the cabin's heating system kept the late fall moutain chill at bay. 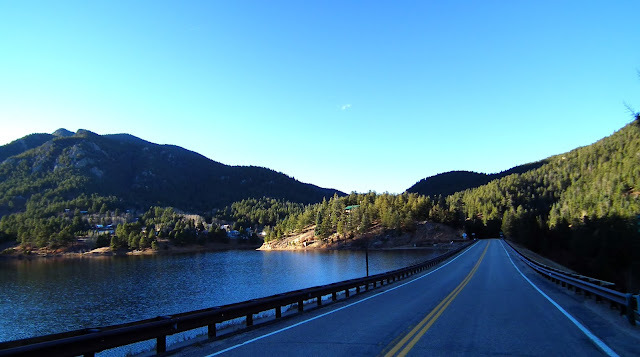 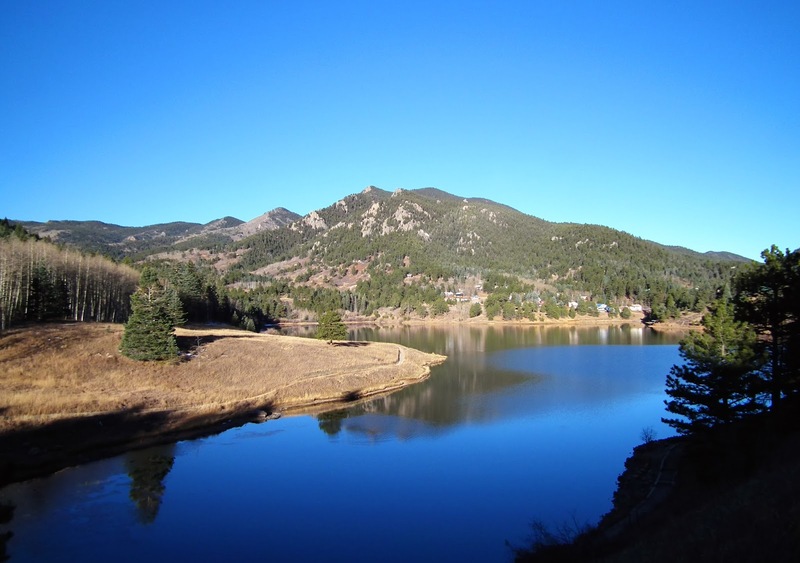 Lake Isabel's clear, cold waters provide excellent habitat for trout and it is a well stocked lake. 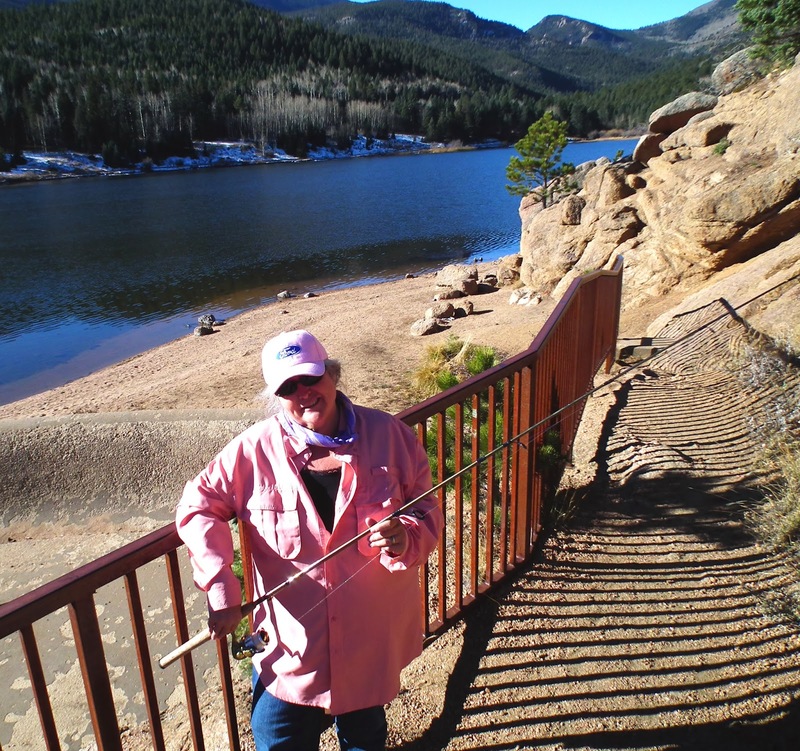 A spinning rod rigged with a clear bubble and Pistol Pete prop-fly for a lure produced plenty of strikes this late fall day. 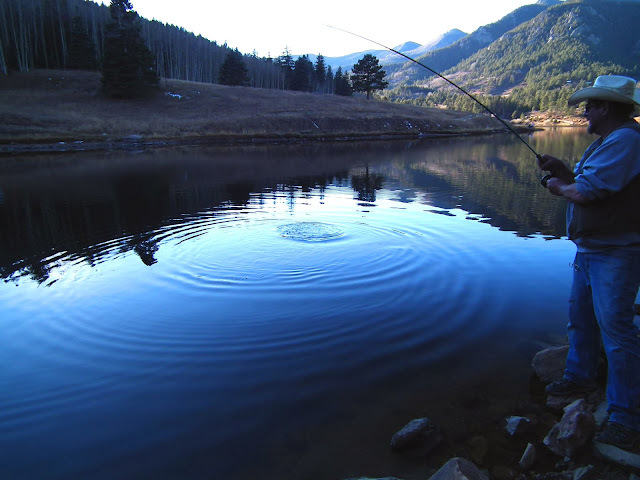 A cove by the Southside Campground featuring rising trout late in the afternoon just as the sun faded behind the hills. 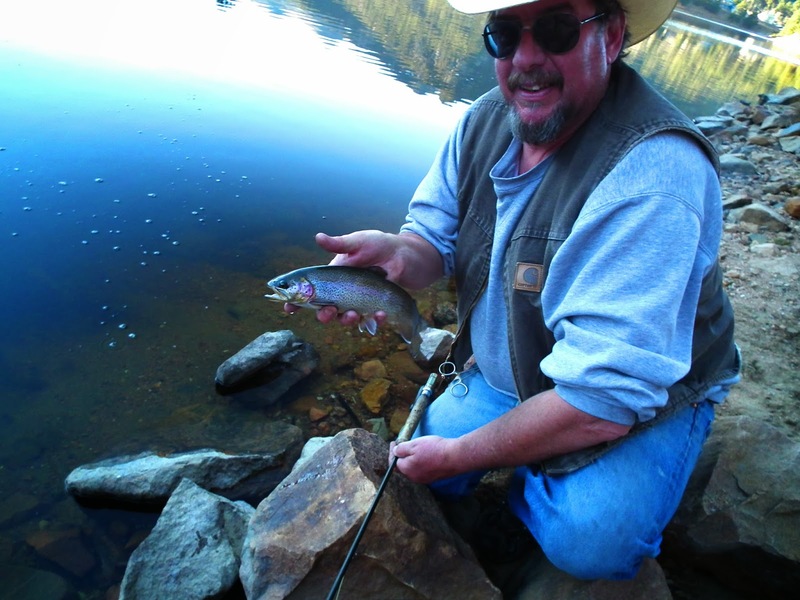 A trout is hooked on a dry fly and is reeled in by the author who took to fishing with a fly rod as fish began coming to the surface. A pretty little stocker Rainbow trout is returned to the water unharmed and little wiser for the effort. 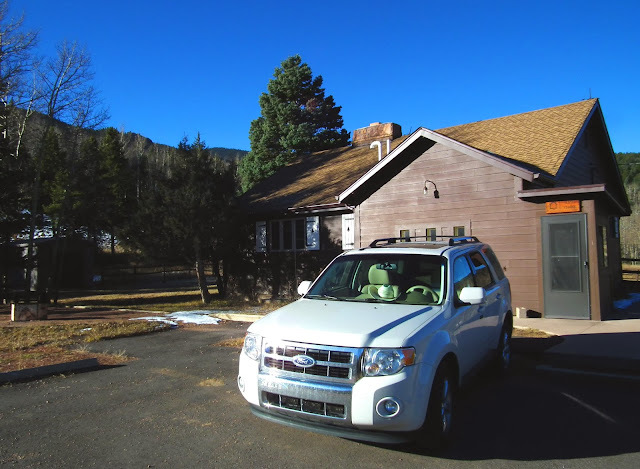 Our inaugural road-trip in our new Ford Escape proved this vehicle to be thoughtfully well appointed with V-6 power and good gas mileage. 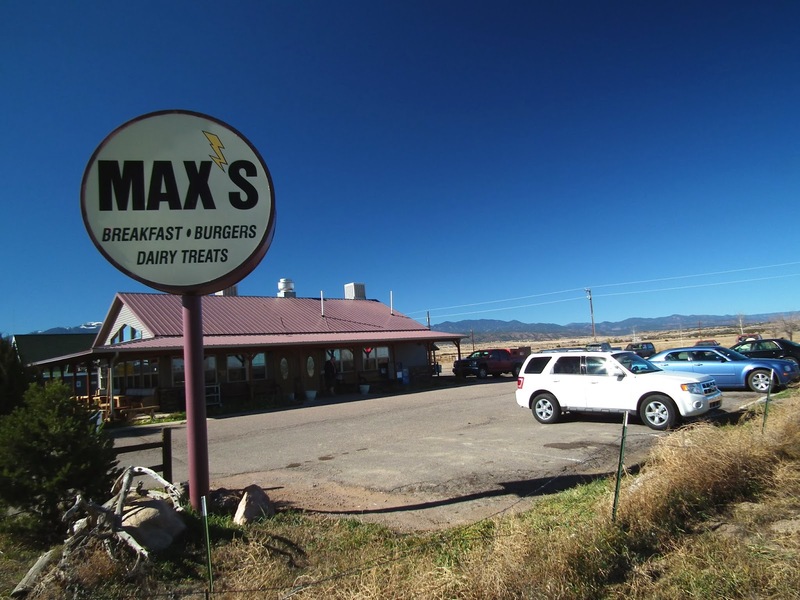 Max's diner is the place to eat in this neck of the woods we were told by several locals. 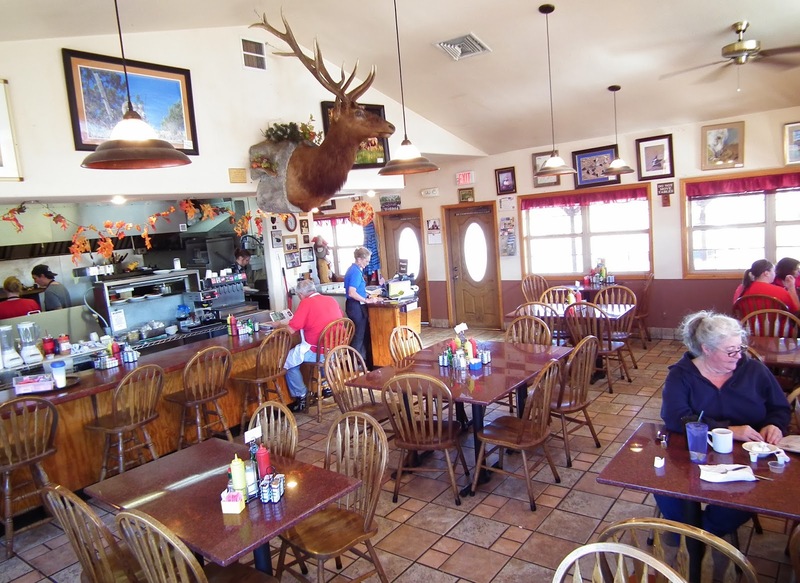 This is an old fashioned country diner with excellent service and outrageously good food. The coffee was excellent, the bacon cooked just right and the pancakes heavenly. 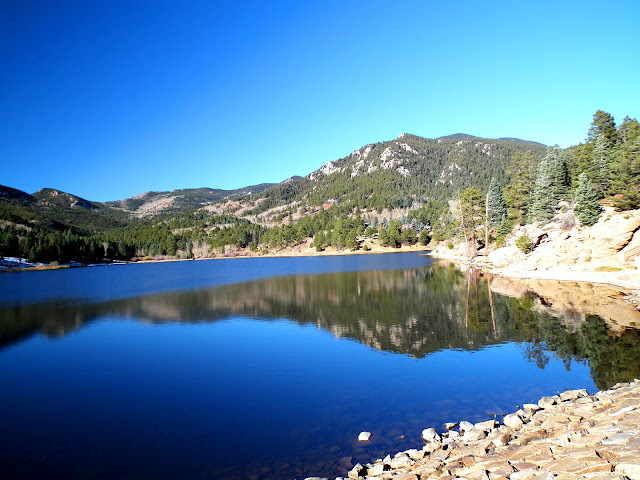 Like all good things, they must come to end sometime but thanks to our federal government the public is able to enjoy experiences such as this by simply booking the cabin at http://www.recreation.gov/.